Vauxhall Corsa 1.4 i 16v SXi 5dr - £3,150 p/x welcome & finance available. Lovely small car with 4 doors & good size boot. These cars are good on fuel, cheap to insure & low on tax. We supply the car with 1 years MOT (no advisories), 1 year warranty & 1 year AA Cover. We can arrange finance for all circumstances. £3,150 p/x welcome & finance available. 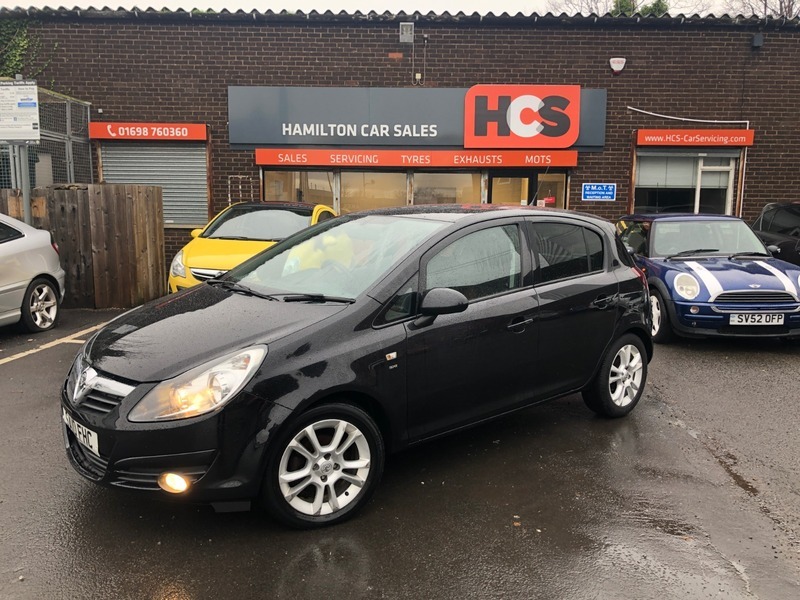 12 months warranty, Service history, Good bodywork, Black Cloth interior - Good Condition, Tyre condition Excellent, 16in Twin-Spoke Alloy Wheels (195/55 R16 Tyres) with Locking Wheel Bolts, CD 30 MP3 - CD Player with MP3 Format/Stereo Radio with Auxiliary-In Socket, Cruise Control, Dark-Tinted Rear Windows, Dark-Tinted Windows, Electrically Operated Front Windows with Safety Autoreverse and One-Touch Facility. 5 seats, Black, 3 owners.